After completion of studies, a resume is one of the important document to apply for the job. 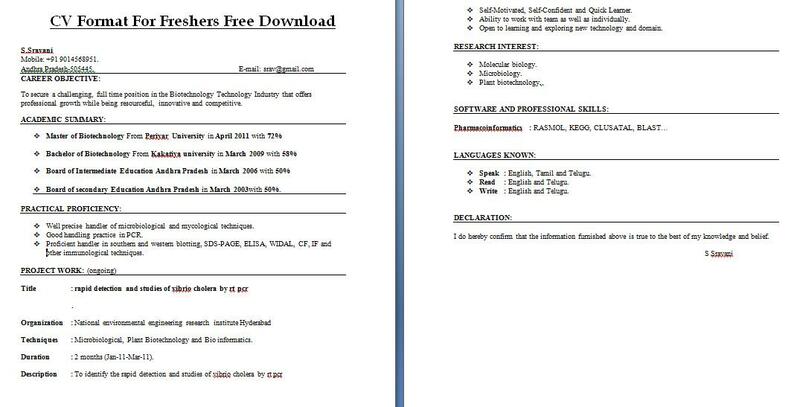 The new CV format for freshers 2019 will help you to prepare the best document. Undoubtedly, CV is like a gate pass for you to put your first step in the organization. Furthermore, the main objective of this document is to help one person to secure him in the interview. In this modern world there are many many competitors of yours so you have to think one step ahead from those and for this purpose, the resume can help you a lot. In addition, the importance and the proper format for this paper are showing in the later part. First of all the question arises in your mind that why we need a CV for getting a job. Basically, this is the 1st piece of paper that any organization demand from the applicant and you know that “the first impression is the last impression” yes! Here are some important tips and a sample for fresher students to prepare a resume. Everything you enter in it must be true don’t use any doubtful wording in it. You do not have any practical experience as you are a fresher candidate so don’t be upset, you can write in this portion about your projects of the universities if you take any participation in any occasion of the university then write down. Educational career must start from the latest degree you have passed. In below there is a sample of a document. 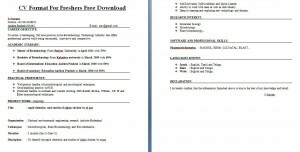 Check this CV format for freshers 2019, because it will help you to understand many things. Note: Soon some new format will also upload here. Hopefully, this will must help for a perfect document. Moreover, the initial days of freshers are not easy. 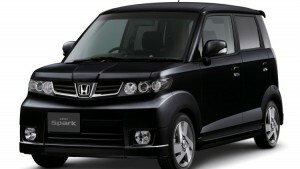 One must need to work hard to get some experience of the market. So don’t be panic. hi, i am searching for a simple cv form. please send me . pls send me latest form of cv thanks..